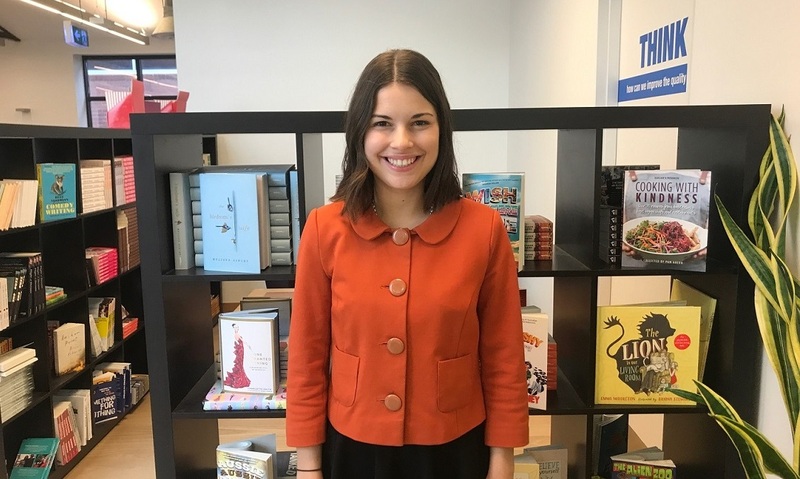 This year the Australian Publishers Association gave us a pretty fabulous gift through their Publishing Industry Internship Program – one Nicole McKenzie. When she’s not working at the Wheeler Centre or volunteering at Writers Victoria Nicole writes performances, poetry and creative non-fiction. Nicole has been an enthusiastic asset to the team and her habit of doing 25 star jumps while she waits for her documents to print will leave a lasting legacy on us all (seriously, try it!). Nicole, what have you been working on while at Affirm Press? I started my internship in the editorial department, assessing manuscripts, proofreading and fact-checking books for publication. However I slowly slid into marketing and publicity work, too. I organised the Cooking with Kindness launch and publicity which was oodles of fun. I’ve kept one foot in the editorial department by assisting the kid’s team with submissions, teacher’s notes and general admin. I’ve really enjoyed working in a small team at an independent publisher as I’ve had the opportunity to see all aspects of the publishing process to really understand how books come together. Hopefully work at some of the amazing arts festivals around the country and do some freelance writing. I’ve also been dreaming of a reading holiday for quite some time now so I plan to pack a bag full of books and head to a beach in Thailand in the near future. What’s something that surprised you about publishing? How fast things move! Trends come and go and a new book very quickly becomes an old book. As a reader (who didn’t work in publishing) I didn’t think as much about the timeline of a book – I’m always reading a combination of new releases and older titles. But working in publishing makes me conscious of what’s new and I’m always keeping an eye on what’s about to come out and what could be the next trend. Also how distorted time becomes in publishing – all this looking ahead in the schedule has me convinced it is already 2018! What’s the thing you wish you didn’t know about publishing? How rare and difficult it is to find a diamond in the rough (or a bestseller in the slush). Before I started at Affirm Press I had dreams of reading something show-stopping and telling the office ‘YOU HAVE TO READ THIS!’, or meeting an amazing undiscovered writer at a party or in an elevator and bragging that I discovered them! While it does happen (perhaps in slush piles more often than in elevators), it’ll take me a little longer than six months to experience. Which books will you be throwing in your backpack when you head to Thailand this summer? More than my 23kg luggage limit will allow! Just to name a few: The Woman Who Fooled the World by Beau Donelly and Nick Toscano – Nick was on a panel at the Wheeler Centre and the whole story sounded fascinating, plus I’m a sucker for a good piece of investigative journalism. I’ve made a promise to myself to read Call Me by Your Name by André Aciman before I watch the film so that’s high on my to-be-read pile. I also have some catching up from the year to do: a few must-reads that spring to mind are­ One Italian Summer by Pip Williams (the perfect holiday read), Why I’m no Longer Talking to White People About Race by Reni Eddo-Lodge and Tell The Truth, Shame The Devil by Melina Marchetta.